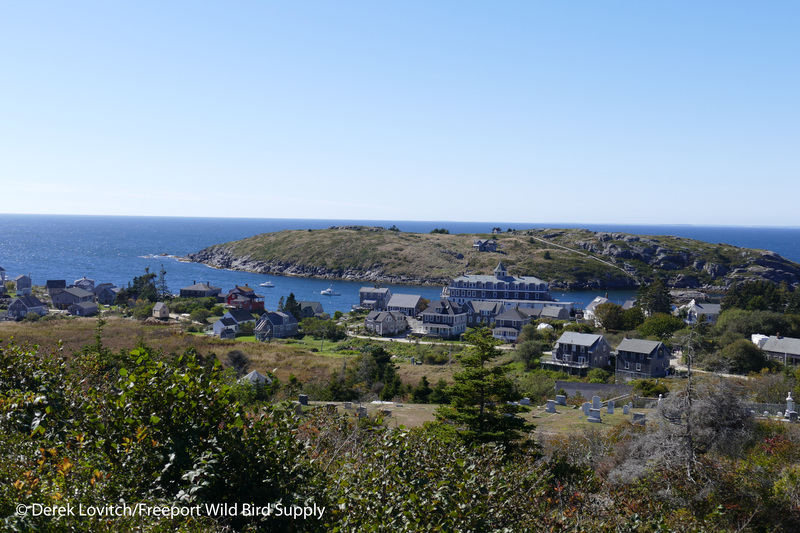 As always, the last weekend in September finds me at one of my favorite birding locales in the world, Monhegan Island. 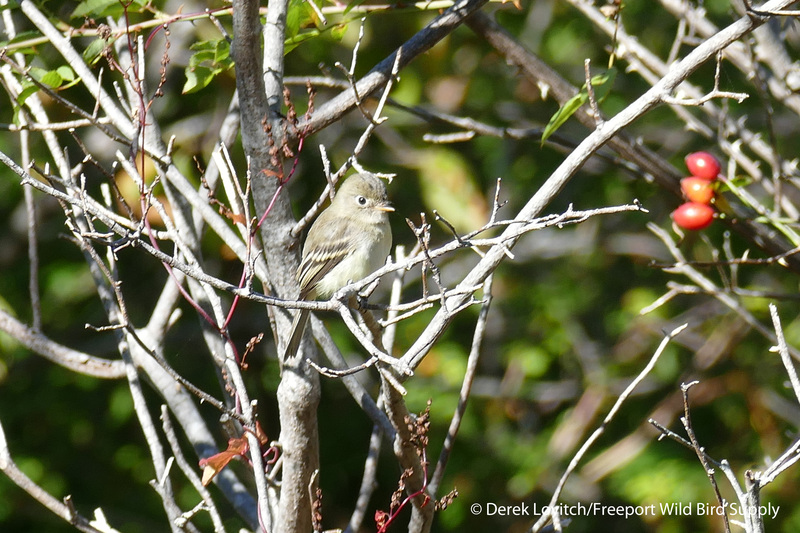 My annual “MonhegZen Fall Migration Weekend” tour takes place then, and with it, a wealth of birds and good times are to be had. Well, usually a wealth of birds are to be had! But yeah, this year was slow. As slow as I have ever seen it. But my goodness, was it nice out! Of course, this same pleasant, unseasonable warm and benign weather was exactly why there were so few (relatively speaking) birds out there. 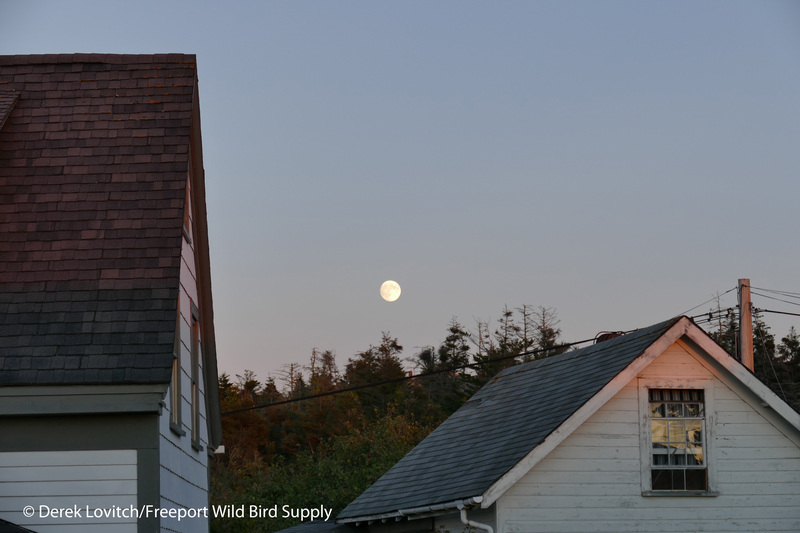 It seems that with night after night of great flying conditions, birds are proceeding unimpeded, with no fallouts, or even concentrations near the coast or offshore. So yeah, it was gorgeous. Beyond gorgeous. And the Novelty Pizza was just as good, and Monhegan Brewing Company’s beer was just as great. 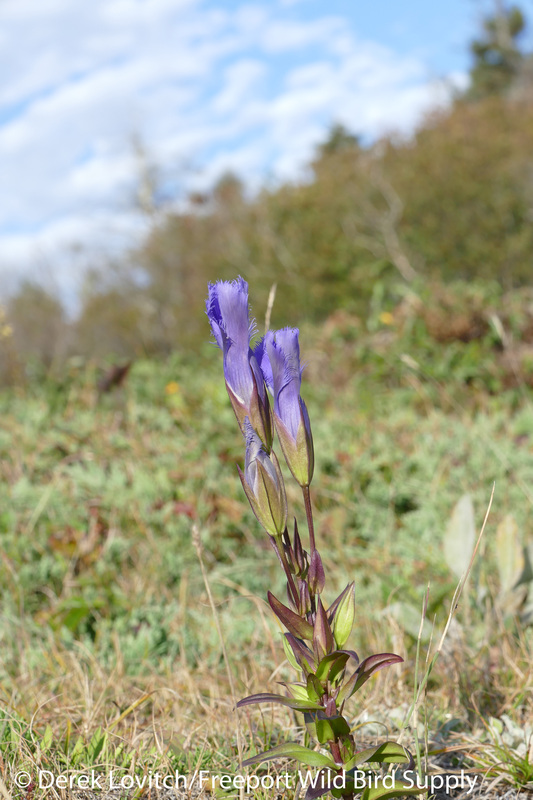 The butterflying was good, and the wildflowers were a nice distraction, especially the Fringed Gentian as always. 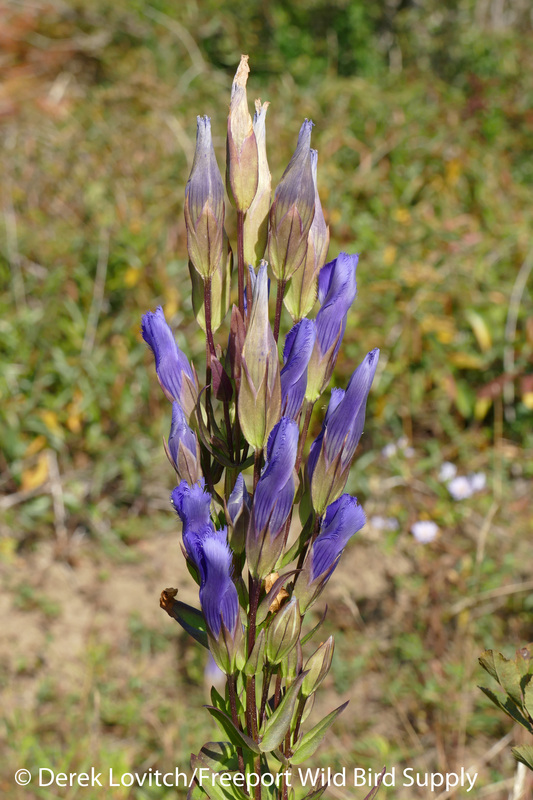 …and of course a few rarities were around. 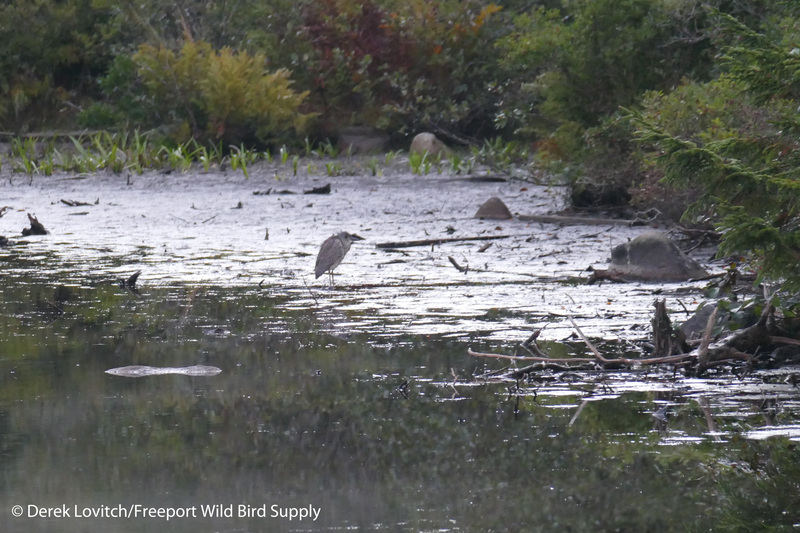 The two headliners were the two juvenile Yellow-crowned Night-Herons that would spend dawn at the Ice Pond. 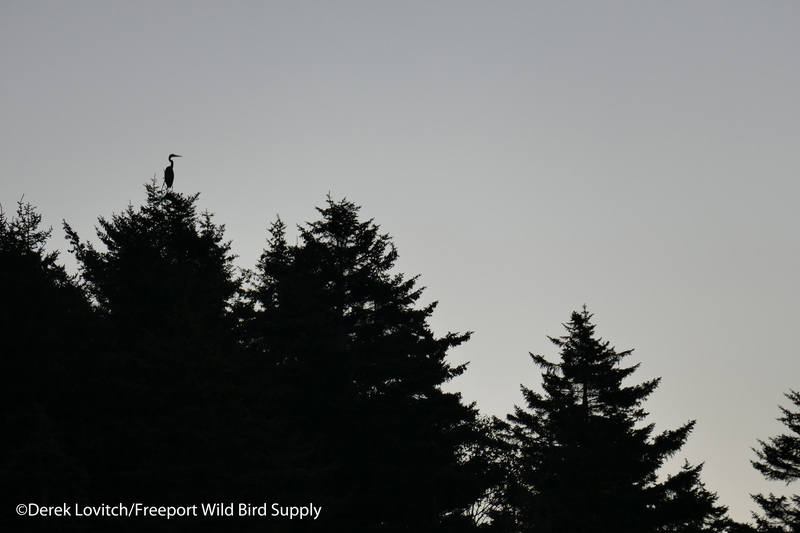 They would fly in just before 6 (presumably from feeding around the rocky shoreline), drink and preen a bit, and then shortly after sunrise, take off to roost in the trees. You needed to be here dark and early to get them, and on Sunday morning, the group made the lovely twilight walk (fly-by American Woodcock!) to reach the pond, and we arrived just a few minutes after the night-herons did. One lingered until it was just light enough to grab a snapshot. A Great Blue Heron kept watch as well. Of course, it wouldn’t be a Monhegan weekend if I didn’t attempt to string one Empidonax flycatcher. Of course, this one was a Least Flycatcher – as expected, and as usual. It did offer a very nice, prolonged study, however. 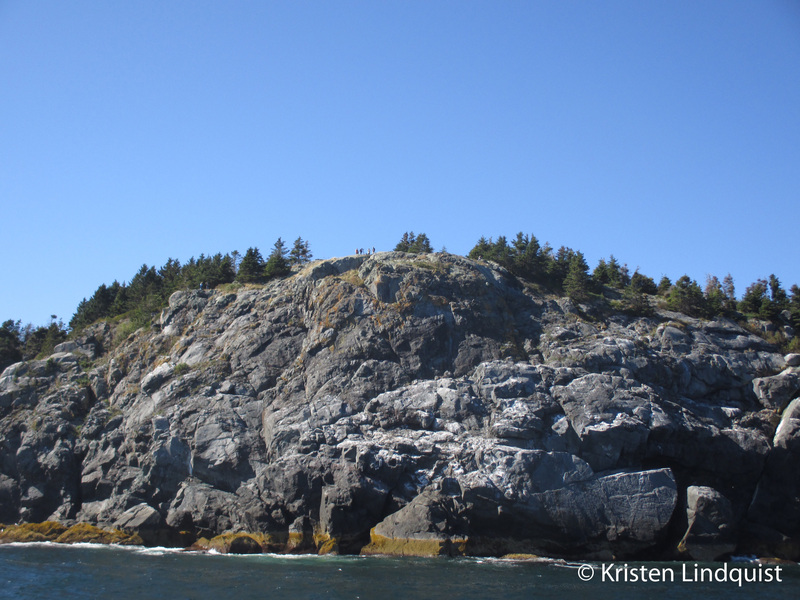 One of the other significant birding highlights was the seawatching from the tall cliffs. 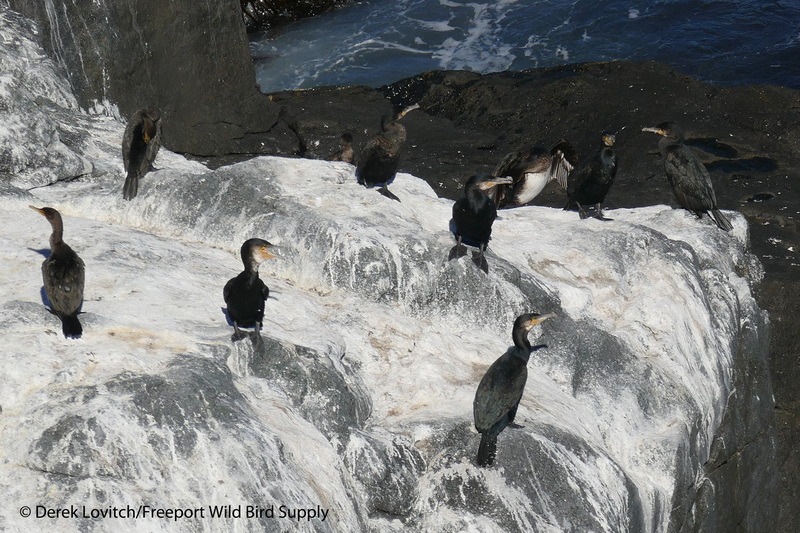 In the afternoon each day, we strolled over to White Head to enjoy Northern Gannets, study Great Cormorants, and do a little seawatching. With northeasterly winds picking up Sunday afternoon, gannets were breathtakingly close. A little trickle of shearwaters, which included 2 Cory’s Shearwaters among a handful of Greats, were anything but near. YELLOW-CROWNED NIGHT-HERON: 0,0,2 (present all three days, but we only made it to the Ice Pond at dawn on the last day). Although this year’s tour was one day shorter than usual (since Jeannette and I had to leave for a tradeshow on Monday), the 80 total species was a whopping 22% below the average of 102 species for my usual 4-day tour, and 16% below my average of 95 species for a three-day fall tour. But the “MonhegZen Migration Weekend” isn’t called that for some existential reason – no meditation required. 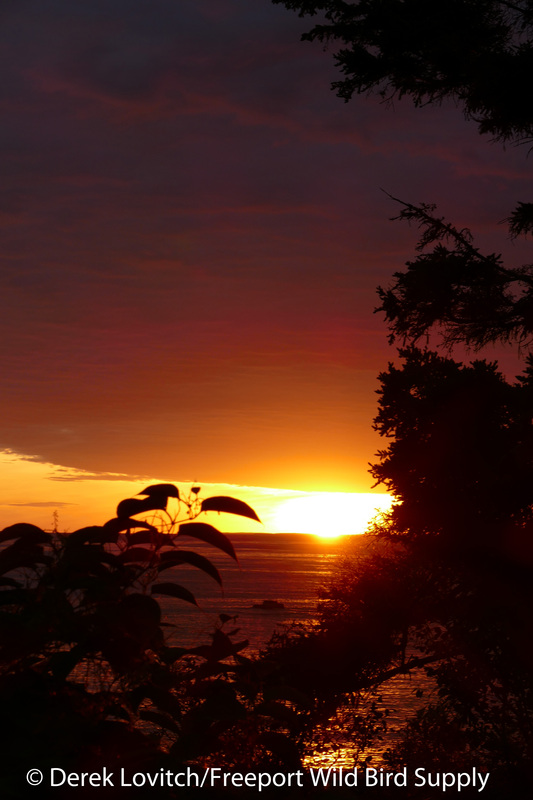 Instead, it’s a suggestion of the mindset of going with the flow, taking what the island gives us, and enjoying a truly unique and remarkable place that superlatives fail to completely describe. So yeah, it was pretty slow. 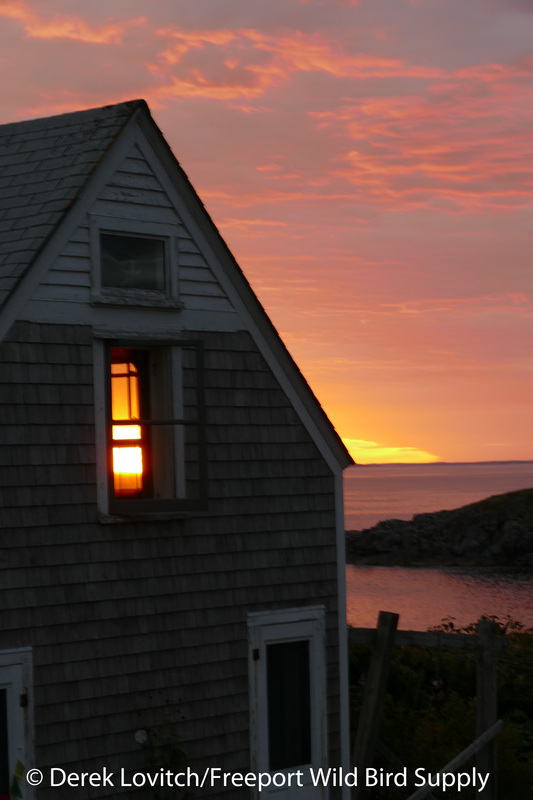 But it’s not just cliché: a slow day on Monhegan is better than a “good” day almost anywhere else. And not just for the birds! Don’t believe me? Well, how about joining us next fall to see for yourself? I mean, did you see those sunsets? P.S. To get a better idea of what it’s usually like out there, check out my blog from last fall’s weekend tour. 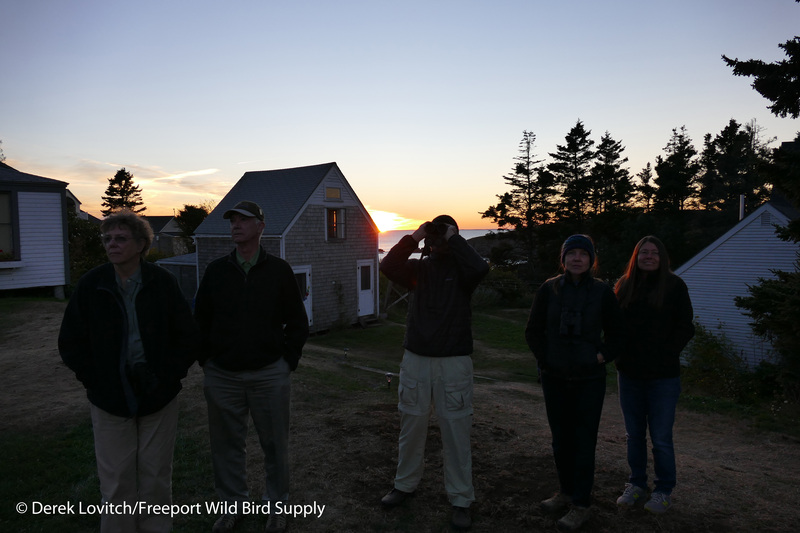 This entry was posted in Uncategorized and tagged "Birds, Birding, Freeport Wild Bird Supply, migration, Monhegan Island, MonhegZen Fall Migration Weekend, Tours, trips, warblers, Weather, Yellow-crowned Night Heron on October 5, 2015 by Derek.